Despite rumors that Warner Bros. is pursuing a Harley Quinn trilogy, it appears the upcoming Birds of Prey (And the Fantabulous Emancipation of One Harley Quinn) will not set up a crossover with Gotham City Sirens. 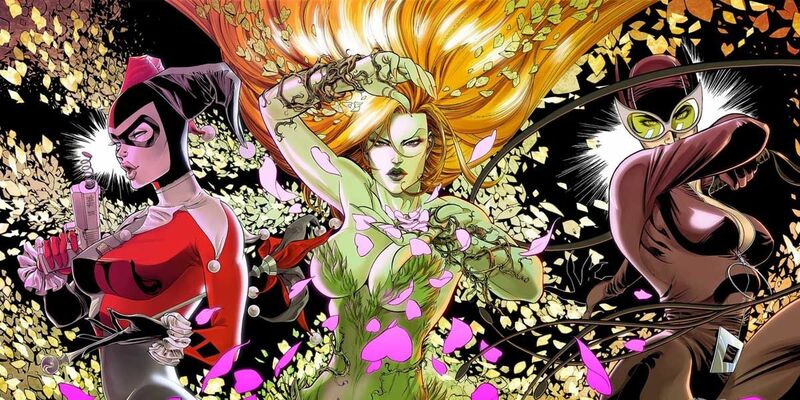 According to Forbes, the two DC properties will exist as separate entities, and given the status of the DCEU's film slate as a whole, it remains to be seen if Gotham City Sirens manages to come to fruition. Announced in 2016, Gotham City Sirens was poised to reunite Harley Quinn actor Margot Robbie and Suicide Squad director David Ayer. However, over time, we started to hear less and less about Sirens -- which traditionally consists of Harley, Poison Ivy and Catwoman -- and more and more about Birds of Prey -- which we learned would consist of Harley, Black Canary and Huntress. It was then believed that Birds of Prey would actually lead into Gotham City Sirens, after which the two properties would collide in a Birds of Prey v. Gotham City Sirens film. Given the report from Forbes, though, that doesn't appear to be the case. This is only one of many developments in the world of DC films. In the same report, it was noted that Birds of Prey, despite being a team typically associated with Barbara Gordon, would have no ties to the standalone Batgirl film. Furthermore, both Jared Leto's solo Joker movie and his Harley Quinn/Joker project are no longer on the table. As far as DC's heavy hitters go, Warner Bros. also appears to be putting Superman on the back burner, placing emphasis on a Supergirl film rather than a Man of Steel sequel. And as for other announced films for characters such as Booster Gold, Blue Beetle, Nightwing, Cyborg and Lobo? It remains to be seen if and when they exit the development stage and finally enter production. Nevertheless, the DCEU will take its next step forward on April 5 with director David F. Sandberg’s Shazam!, which stars Asher Angel as Billy Batson, Zachary Levi as Shazam, Mark Strong as Dr. Thaddeus Sivana, Djimon Hounsou as the ancient wizard Shazam, Grace Fulton as Mary Bromfield, Jack Dylan Grazer as Frederick “Freddy” Freeman, Ian Chen as Eugene Choi, Jovan Armand as Pedro Peña, Faithe Herman as Darla Dudley, Cooper Andrews as Victor Vásquez and Marta Milans as Rosa Vásquez.